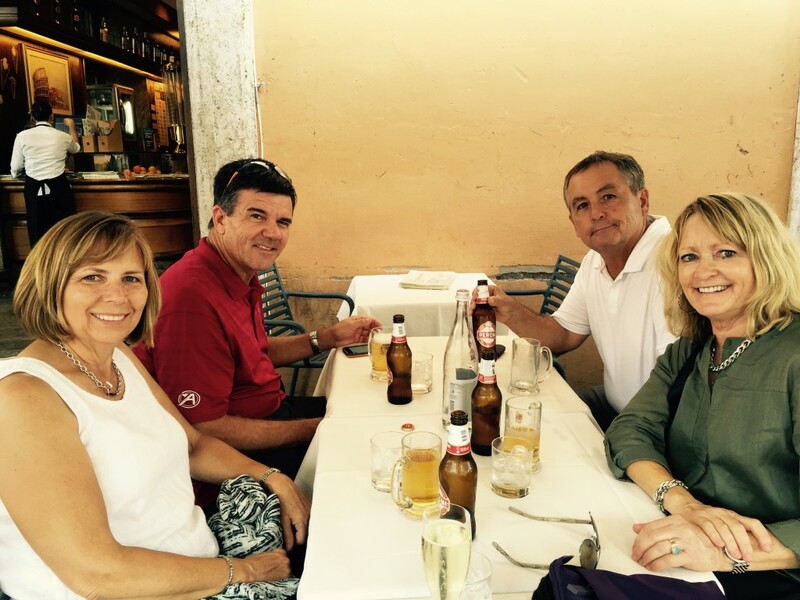 We loved Rome five years ago, so we had to share this beautiful city with our friends who are visiting. The wonderful Italian train system made it possible to go from Florence to Rome for a day. It was a day of revisiting favorites, starting with our favorite pistachio cookies from our favorite Roman bakery. Our next stop was the Pantheon, my favorite site in Rome. 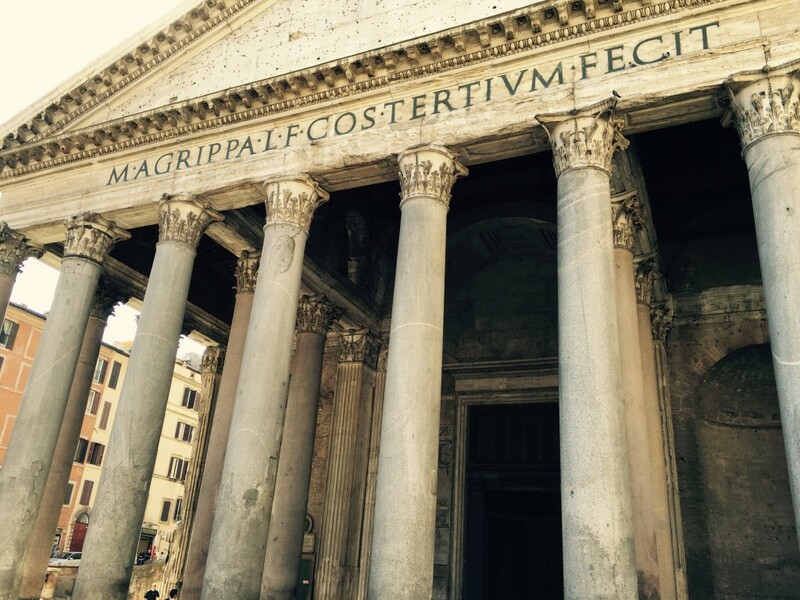 A Roman temple dedicated to the gods built in 27 B.C, the Pantheon became a Christian church after the fall of Rome. It may be the most important building in art history. Its dome was the model for both the dome in Florence and Michelangelo’s dome of St. Peter’s. 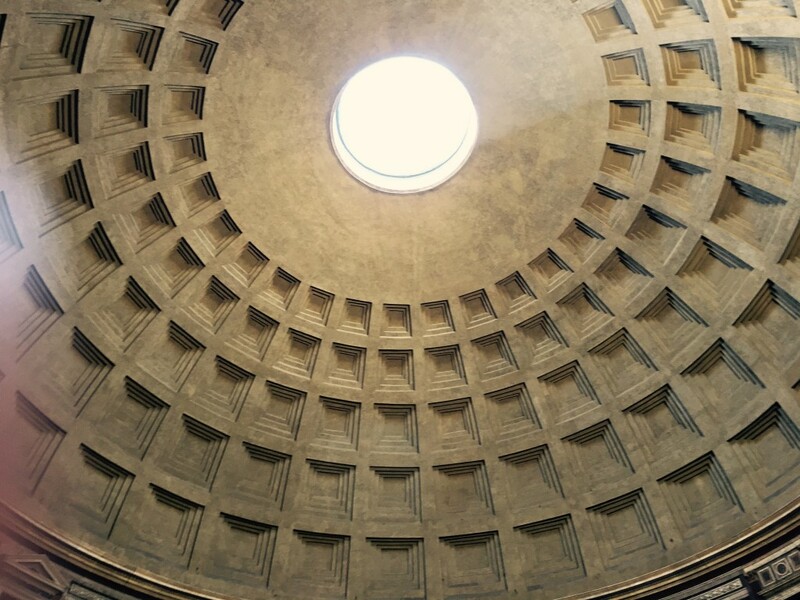 One of the most interesting features of the Pantheon is a 30-foot opening in the top of the dome that is completely open to the outside. The floor slants toward the edges to let rainwater drain. 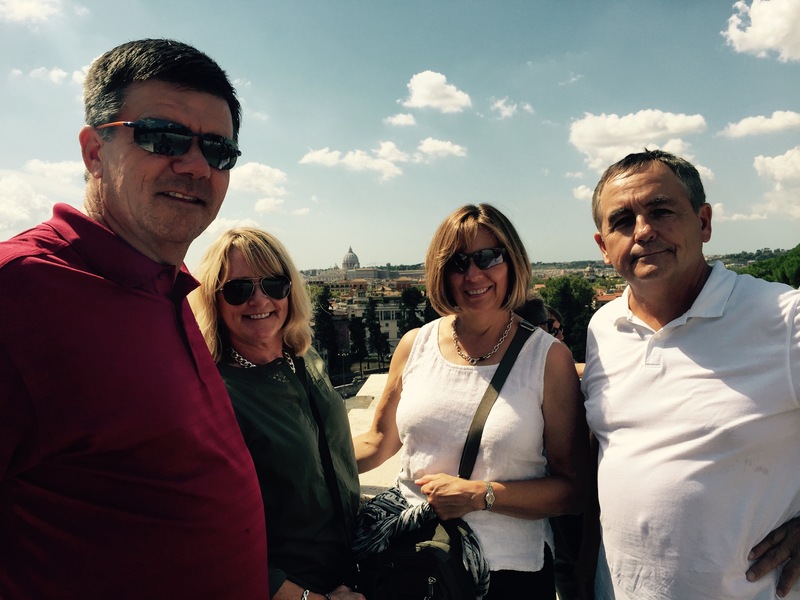 We visited the Trevi Fountain which was still undergoing renovation and the Spanish Steps. 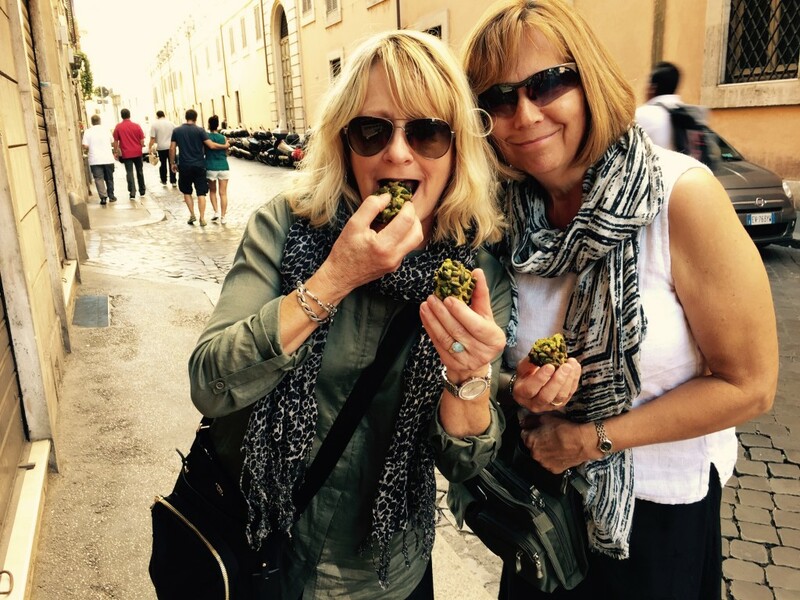 Then we strolled to the Piazza del Popoli for lunch and a lovely walk in Pincio park. From the top of the park we could see the Vatican, our next destination. I ordered our Vatican tickets in advance, so we were able to bypass the long lines and go right in to the Vatican Museum. 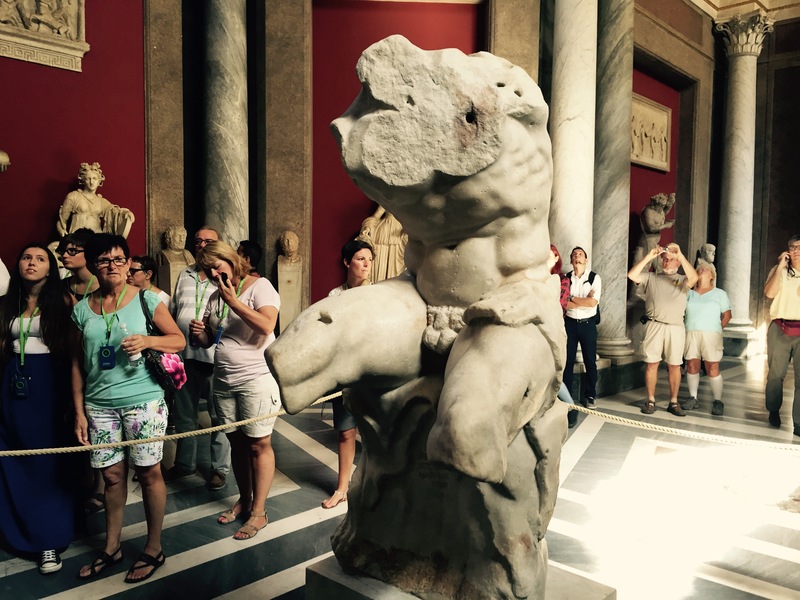 The museum is filled with treasures such as the Belvedere Torso, a 2000-year old sculpture that had a profound impact on Michelangelo’s art. The Sistine Chapel was as beautiful as I remember, but it was much more crowded this time. 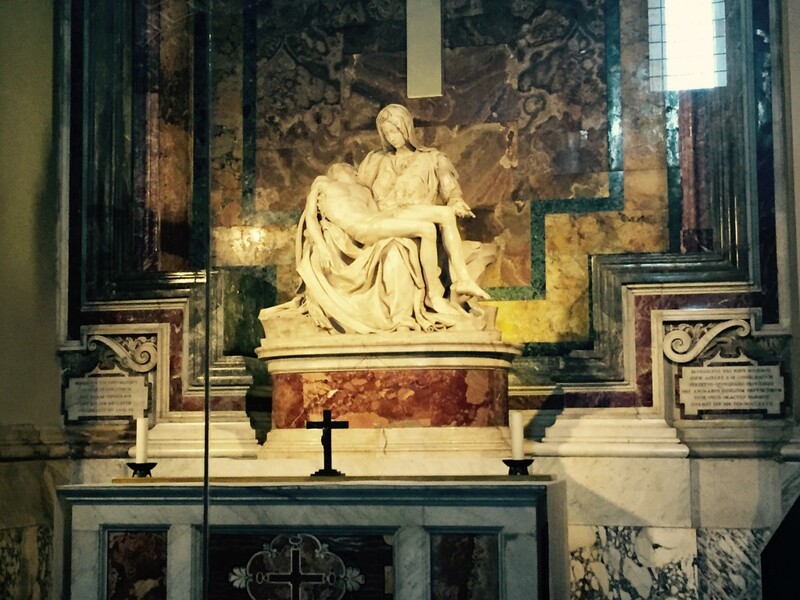 Following Rick Steve’s advice, we took a short cut to St. Peter’s Basilica and saw my favorite sculpture, Michelangelo’s Pieta. As we left St. Peter’s, we saw the Swiss Guard who have been guarding the Pope since 1506. At the end of the day, we bid farewell to our friend Scott and took the last train home to Florence. 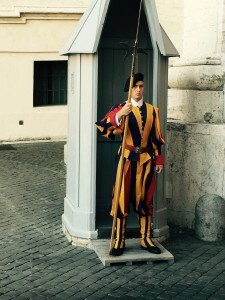 This entry was posted in Italy 2015 on September 7, 2015 by debbie.